WE WON’T BE BEATEN ON VALUE OR SERVICE! Hi, my name is Vince from FAB Bookkeeping Dakabin. 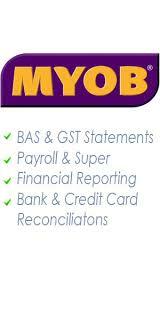 I am a qualified accountant and registered Agent with 20 years’ experience. I have extensive knowledge working within public accounting, warehousing, also specialising in small business and retail. FAB Bookkeeping Dakabin will be servicing: Narangba, Morayfield, Kallangur, Petrie, Murrumba Downs, Dakabin, Kurwongbah and surrounding areas. I am able to offer you solutions tailored to your needs. To become yours, your family and your friends trusted financial adviser. “Miriam has been such a massive contributor to Smart Chicks both professionally and as a supporter for the last 18 months. We are so grateful to have had such a heart centred accountant in our corner. She works tirelessly for any business she believes she can make a difference for and gives so much time and energy. She has guided us every step of the way and never made us feel like we didn’t know what we are talking about. Word of mouth referrals are so powerful and for us knowing we can pass on one of the best and most up to date in the industry is a true honour for us". "I was drawn to Miriam when watching a video interview with her a few months ago. She seemed personable, but it was the tax tips that drew me in - some I'd never heard of from a tax accountant before. Miriam was easy to get in touch with and really had a handle on my industry - other accountants had said they understood art therapy, social work and medicare, but Miriam showed me she knew her work. I have saved a lot of money. Plus the amount of things I didn't know I could claim before. Although Miriam is in another state, it's easy to work together on my tax as she also uses up to date technology to communicate." “Miriam has been instrumental in helping us save at tax time and many other times. Miriam is very honest and professional within her practice. I highly recommend her to all my friends and family, particularly those that own small businesses”. "Without Miriam and the FAB team, I would be left floundering. The amount of support and guidance I've received from the FAB team is above and beyond anything I've encountered - it really has changed my business for the better. For anyone thinking about whether or not they need assistance in their business, stop stalling and give FAB a call. You won't regret it." "Miriam and the team at FAB have helped me grow my business and personal wealth profoundly over the last five years plus. The service is exceptional and I honestly do not know where I would be without Miriam's help and dedication. I would highly recommend her and everyone at FAB!!" Simply fill out the form below and one of our friendly FAB Bookkeepers will be in touch shortly.